Have you ever had this experience in your classroom? Nothing like a collective "Aw, Man!" as you start erasing the board to make more room. We now have a subscription for a program called equatio. This program is forced installed on the Chromebooks and for students with windows devices they will need to sign into the Chrome browser. To do this they will open up the chrome browser and click the 3 dots and sign in with their Elbert account. For students at the Elementary and Primary school without an Elbert Account the teacher can sign in with their account or with the generic that I will soon send out to those teachers. Equatio is a great tool for science and math and STEM related activities. With this program Students can speak problems and equations into their device, they can draw, (either with their mouse or using the touchscreen) and this will appear in a Google Doc. Teachers can also insert math equations into google forms. I'm very excited to let you all know that we have new software on our devices! We have two new products that both students and teachers will be to access with our new subscription to texthelp. Read and Write for Google and Equatio. I'm excited about this software because it is going to help remove barriers for our students and help many of them to better access digital Curriculum. These programs offer our students the ability to hear digital text read aloud, easily find word meanings and word pictures, word prediction on docs, and easily create vocabulary charts. With Equatio students can insert equations, complete math problems on a touch screen (on our touch screen devices) and speak their math into a device. I think that Michael Scott, a personal hero of mine, summarized what I felt like when I first learned about these programs. Google Docs Part 3 AND a few extra resources. Happy Friday This is my last installment in the Google Docs Trilogy. Number 3. Also, the jersey number of my all time favorite Baseball Player. Creating Google DocumentsSharing Google Documents for collaborationProviding Feedback and comments in Google DoccumentsViewing Revision HistorySpeech to TextThe Explore Feature and Citation generator. I''m going out on a limb this week. I'm not going to lie. I am not a big fan of sequels. Don't get me wrong there are some great sequals out there. In my opinion two of the greatest movies ever made are Godfather II, and Empire Strikes Back. Also, one of my personal favorites, Under Siege 2 Dark Territory is possibly the most far fetched movie of all time. 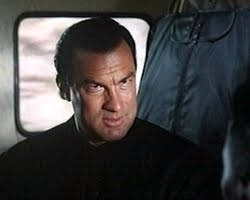 Just FYI, it's about Steven Seagal, he's a cook, on a train, saving the world from a group of thugs who hacks into the CIA database to command a nuclear satellite (on a train in 1995 with a dial up modem to blow up the East Coast.) . But for every Empire Strikes Back there is about five 2 fast 2 Furious, or Taken 2. So hopefully this is more of an Empire Strikes Back post then say Speed 2 Cruise Control. This blog post is about using Google Docs. Just a couple of instructions before we get going. There are a couple of Gif images that demonstrate a few things. Click on them and they will become larger. Also, when you see text in blue click on that to take you to an article. One of our Core tools within Google Apps for Education is Google Docs. In simple terms, Google Docs is the Google tool for a Word Processor. Just like Microsoft Word is the Word Processor for Microsoft. Google Docs has all of the same basic features as Microsoft Word. For instance, you can Bold and Italicize words. You are still able to change fonts, insert bullets. . . Etc. To get to Google Docs just go to drive.google.com and choose create and create a new document. One thing that people often forget, myself included, is to name their Document. All documents start off being titled Untitled Document.